Obviously, being arrested for DUI is something everyone wants to avoid, and there’s only one sure way to avoid it: never, ever drink and drive. But, if in spite of your best efforts, you find yourself accused of DWI in southern California, you’ll need skilled legal help right away. 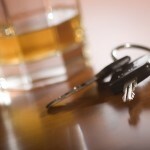 Call an experienced Orange County DWI defense attorney. The consequences of a conviction can be harsh, but good DUI defense lawyers very often win acquittals, dismissals, reduced charges, and reduced sentences for their clients in California courts. If you are arrested for DWI , a California prosecutor has one year to file formal criminal charges. A prosecutor may delay filing charges for a number of reasons. Blood tests are sometimes delayed, other evidence has to be processed, witnesses have to be interviewed, and legal paperwork has to be completed. First offense DUIs with no property damage or injuries are sometimes set aside by prosecutors focusing on more serious cases. And again, while being arrested for DUI is something everyone wants to avoid, waiting for the chance to clear your name can also be excruciating. The ramifications of an arrest – on your job, your family, and your future – are something you want to resolve. For many, the longer they wait to be charged, the more stressful and difficult life becomes. In California, you won’t wait more than a year, unless the DUI charge is a felony or unless there was an accident that involved the death or serious injury of another person. 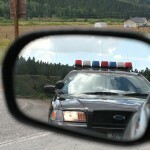 If you were arrested for DWI but you haven’t been charged, speak to a good DWI defense lawyer. After assessing the particular details in your case, your attorney can outline your options and work to have your charge reduced, dismissed, or brought to its best possible resolution. Don’t wait until the last possible minute. If you’re arrested for DWI in southern California now or in the future, speak at once with an experienced Orange County DUI defense attorney. 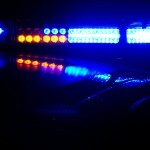 What To Do If You Are Charged With DUI?